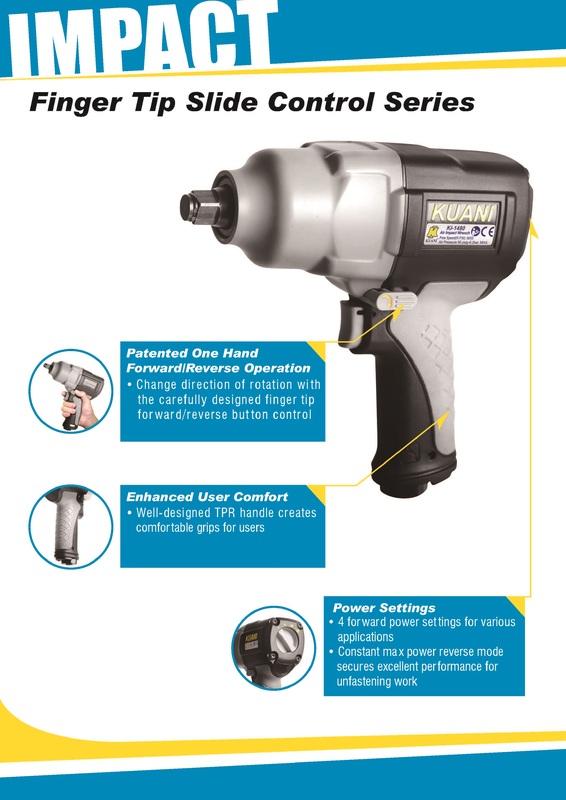 KUANI’s new series of lightweight pistol grip impact wrenches are equipped with a patented Finger Tip Slide Control device allowing the user to switch between forward & reverse with one hand. The ergonomic design of the composite handle covered with soft TPR rubber, as well as the lightened and well balanced grip of the tool help to ease the stress on wrist and arm during operation. All together offers the most comfortable and smooth operational experience over long working periods.